Mondays get such a bad rap. Monday morning means the weekend really IS over and we are back into the grind of the school and work week. Few things cause as much anxiety as waking up to a Monday morning where our family is disorganized and they end up going out the door with grumpy grimaces, mismatched socks, and nothing but bread crumbs for lunch. Well…maybe not as bad as bread crumbs for lunch, but you know what I mean. To circumvent the crazy chaos otherwise known as Monday Morning, try a Sunday Night Rev Up. You are welcome to use any little catchy phrase that might inspire your family, just do it in a fun fashion. Make this time a family event and a priority or everyone, even Dad and little siblings. These are things that I recommend be done but your house may need to add or subtract depending on your activities. Select clothes for the upcoming week. By identifying outfits for the entire week on Sunday, you are teaching and mastering several good habits with lifelong benefits. First, you save time in the mornings trying to decide what to wear because there are, at the most, only five choices. Second, you can make sure that all of the clothes to be worn during week are clean and in the closet. This works particularly well for very small children who want to pick out their own clothes or when Dad is in charge of dressing the kids. This is also a great opportunity to Tweens to learn to plan ahead based on the weather and activities. For teens, it is simply a reduction in drama, period. Complete homework and make progress on projects. Fridays are a time of celebration for school age kids and assignments can easily get overlooked during a busy or laid back weekend. Sunday evenings are the ideal time to get back in the mind-set of responsibilities by reviewing the topics being covered in class the week before. This will give your student one up on the others as well as be prepared for that Monday Morning pop quiz. If you have a student who routinely forgets important tools for homework (book, chart, web address, etc. ), start this process early on Sundays to allow time to call a friend for assistance. 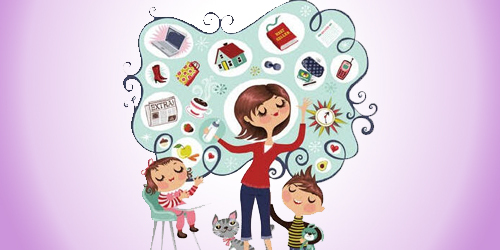 By teaching your children to work on projects in small doses, you are teaching them a valuable time-management skill. Teachers do their best to convey that lesson but reinforcing it at home allows for an even bigger impact. One small step each Sunday can turn a History Fair project into something fun and interesting rather than a last minute catastrophe. For me personally, there are very few things that I dislike as much as packing school lunches. I'm not sure why but it drives my bonkers. So for folks like me, this is one great idea! Prepare as much of lunches as possible on Sundays. I don't mean for you to make Friday's bologna and cheese sandwich on Sunday, but you can certainly bag up chips and carrot sticks for the week ahead. With more than one child, you can come up with fun ways to identify which bags go in which lunchbox. Use your imagination because remember, this is supposed to be fun! Keep in mind, if you buy fresh fruit at the store over the weekend, you will want to be smart about what to pack on which day. Apples and oranges are good for Fridays while berries and bananas should be consumed toward the beginning of the week. Leftovers are also a great alternative to PB&J as kids get tired of the same thing every day just as adults do. Over dinner is a perfect time to discuss everyone's schedule over the next week. In families with mainly small children this probably will cover mom and dad but as kids get older, the schedules get fuller. Identify who is handling soccer practice delivery, piano lessons, and who has other obligations in the evening. At my house, I even claim my night to watch my favorite (only) TV show uninterrupted! This teaches your children how to work together as a team. Don't forget the fun though. Taking life too seriously takes all the fun out! These are but a few ideas on how to make getting out the door a little easier. Try it for next Sunday and don't expect perfection. Changing the way an entire family looks at preparing for tomorrow takes some practice and dedication. It will come but you have to stick with it and your partner's support is paramount!